Property veteran Chris J. Umpleby emphasizes mutual respect to communicate differences toward building a solid team. Any good relationship is based on mutual respect and the ability to communicate, according to Chris J. Umpleby, general manager property of Senayan Square. His assertion is based on his management style in which he labels as humanity leadership. “Respecting other people at the workplace, be it at the level of junior or senior, is the key. People in general want to gain respect from others, but this won’t be achieved unless you show that you are dependable,” Umpleby said over a morning coffee with The Jakarta Post at his office. Born in Egypt and raised in the UK, Umpleby really understands Asian culture as he has spent a considerable amount of time living in Hong Kong, from 1990-1994, and Indonesia since 1994. After four years working at Harbour City Management in Hong Kong, he took a two-year stint at the Jakarta office of SGT Brooke Hillier Parker, a Hong Kong-based Asian property consultancy that has an association with Hillier Parker from the UK. 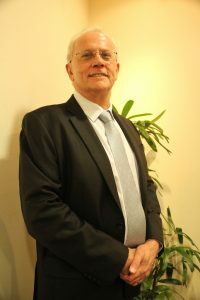 The British national has been with PT Senayan Trikarya Sempana (STS) since 1996, in charge of various leadership works with his current role as property general manager, a position he has held since 2007. The company owns and manages Senayan Square, properties of which include Plaza Senayan shopping mall, Sentral Senayan office towers, Apartemen Plaza Senayan residences and Plaza Senayan Arcadia boutique mall. The company also owns the Fairmont hotel property in Jakarta, but the hotel has its own management. STS is a joint venture between Kojima Corporation, a major Japanese contractor, and the Indonesian government. STS is the owner and developer and it operates under a build-operate-transfer scheme. 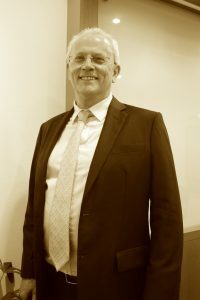 In his current position, Umpleby is tasked with overseeing the company’s day-to-day operations and the management of Senayan Square. “All the buildings here are for lease. None are for sale. So, my job is to make sure that all the buildings are secure, clean and maintained. In essence, we have to make sure that all the retailers, tenants and residents are happy with the services they need and receive,” Umpleby explained. His day-to-day operations involve dealing with different personalities, races and ethnicities, but he uses his own universal language in communicating with these differences. “I’m not the top-dog here. I have my superiors who are Japanese. There are a couple of expatriates from Canada and South Africa. And surely among Indonesians, we have people coming from different ethnic backgrounds. Around 500 of the 735 employees directly report to me. In addition, there are around 1,100 contractors within my organizational structure. “But I don’t really feel differences, whether they come from Sumatra or Java. I treat every single person as an individual being. In managing my team, the direction in which I’m going basically depends on the overall contribution of different individuals. Everybody has his or her own strength to contribute to the whole team. Mutual respect is vital here to universalize the differences, which in turn becomes the powerful key to effective communication among team members. That’s the only way it can work in building a solid team with good performance,” he asserted. There has been growing phenomenon of green gamification, especially in defining the meaning of sustainability in the property business. In Umpleby’s dictionary, he relates sustainability to also having a strong team that contributes to the sustainable growth of the company. “Green is the color that depicts a healthy environment, but creating sustainability in a company goes beyond the green. Of course, here at Senayan Square we have put eco-friendly practices at the forefront of our business. We recycle things, we have a special hazardous waste/disposal area. We have biopore to prevent flood, we use rainwater for watering the landscape, and we are also now shifting to using LED lights in the parking lot to conserve the energy. “But that’s not enough. Besides creating strong team and executing eco-friendly practices, we need to share with others to create even better sustainable business practice with humanity values. We have done so by means of selling our used materials and donating the proceeds of the sales to the poor. Sharing with others will not only enhance the company’s image but also help others in need,” he further explained.